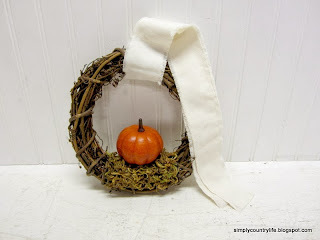 The moss is hot glued onto the grapevine wreath at the bottom. I ran a floral wire through the pumpkin and attached it to the wreath with the wire and also hot glue. 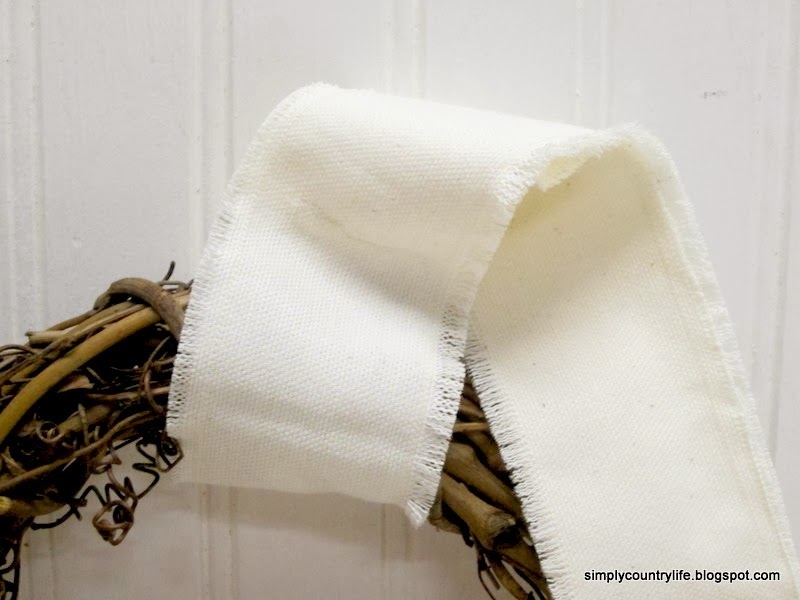 I cut a strip of duck cloth and stitched along both of the edges. This keeps the fabric from fraying too much while still allowing a little bit of fraying on each side. 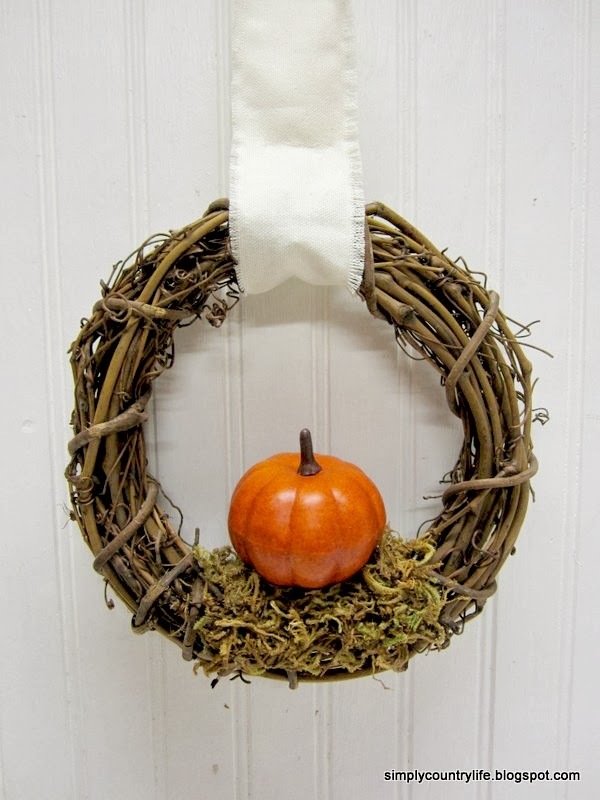 The fabric ribbon is looped around the wreath and is stitched together just above the wreath so that it doesn't come off. 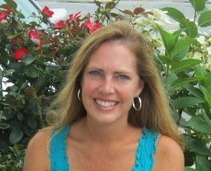 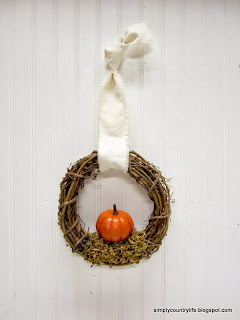 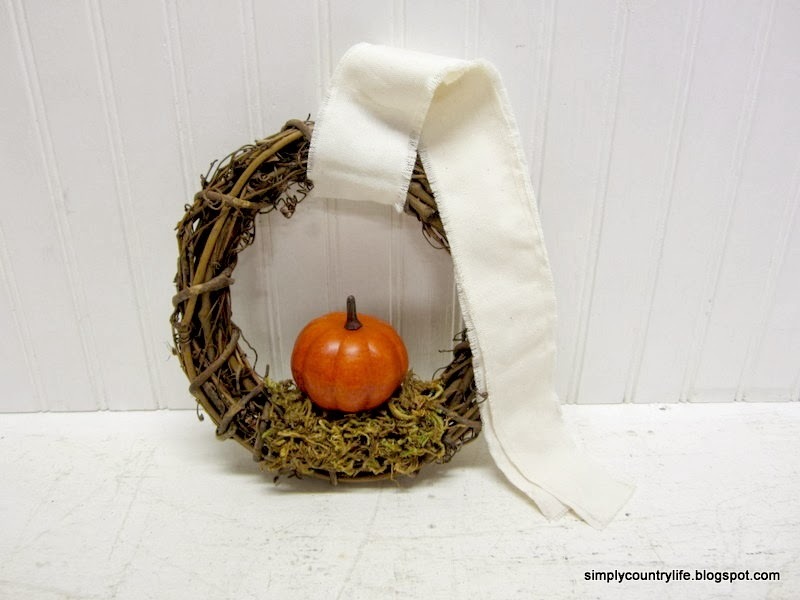 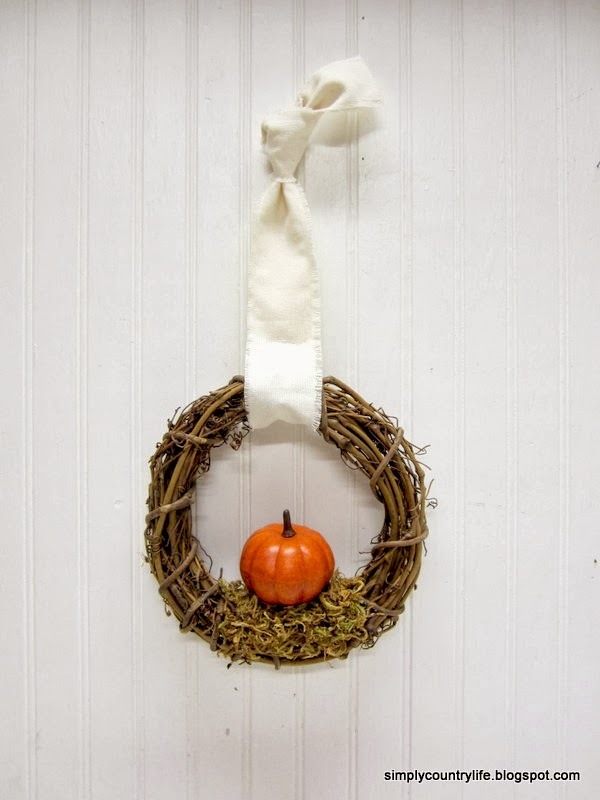 The fabric can be tied into a bow at the top of the wreath or it can be used to hang the wreath.